Moving from one place to another can be one of life's most challenging experiences in many ways. To simplify this Process, DTC packers and movers provide the families and individuals with professional relocation services. The services which DTC packer and movers providing, not only take away the entire burden of residential relocation but are also quite reasonably priced and speedy. The clients get the entire relocation process completed within the stipulated time frame. Whether the move is local, long distance or international, We DTC packers and movers have now expertise in handling from simple to most demanding relocation moves. Goods transportation by surface, water or air. Storage, both temporary or for long term. 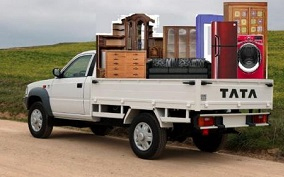 Household goods relocation services involves the packing and transporting of every single piece of household articles. While the fragile goods need delicate handling, article like piano and furniture, need a different kind of packaging and handling. We DTC packers and movers have specialty in moving typical household items like antiques or paintings, porcelain or china, aquarium or lampshades and so on. Also, in case the customer feels that except for a few articles, everything can be packed by him, on his own, this facility of partial packing is also offered. But the conditions must be clearly agreed upon before hand. Office Relocation is not as easy a task as it may sound; it requires a lot of planning and thinking before doing it. Make a rough layout of the new place in order to get the idea about the new place so as to decide on how the things would go about. Since commercial relocation demands the shifting of entire system and order so it has to be done with an extremely devoted team of members. We DTC packers and movers are one of the best service providers in the field who can minimize this troublesome task into a bit simple job and successfully doing the task for so many years. Office relocation requires the shifting of many minor and major official things. The complete system of official items including computers, furniture, important files and documents needs to be relocated in a proper manner. Special cartons are used for the packing of electronic items whereas other official items are also packed in an organized manner. However it is suggested that the confidential items should be moved in personal care. Since the office relocation involves lot of expenditure, We DTC packers and movers do our maximum attempt to reduce it as much as possible. Make the best use of the items available instead of spending on new items. Try to relocate and fit the same furniture in the new place. All these savings would minimize the expenditure to a great extent. Time is something that plays major role in this case. Any company relocating wants it to be done as quickly as possible and that too without any obstruction in work. Most of the movers do the relocation on weekends to avoid any interference in the work, which saves the time and makes the entire moving process an efficient one. So DTC packers and movers also works on Weekends and holidays to provide our customer to choose the best option for saving the time. Increasingly more and more corporate are hiring moving and packing companies for the relocation purpose. Apart from saving substantial wastage, corporate relocation can be for office employees (single or many) or a complete office. The MNC and Trans National Corporate that are focusing on the global presence are specially benefited by these services. They typically find the expert services more convenient and economical as compared to undertaking this task in-house. With our expertise in forming and following a planned scenario, DTC packers and movers minimize the idle time and disruption. Employees are notified and well prepared prior to the move. Various practical moving tools such as PC-containers, rolling containers etc are used to maximize the efficiency and flow of the move. Our, DtC packers and movers ‘s coding system, efficiently moves all office files, equipment and furniture to their correct places at the new location. If a corporate set up has to be moved in emergency or very short time, they have the flexibility to move as per the tight schedules. Special care is taken not to let relocation process disrupt the routine or business of the corporate customers. During the entire process, the client does not suffer any business loss. While the client focuses on his activities, the relocation company gets busy in settling the things at the new location. Also, timing is an extremely crucial factor during the business or commercial relocation. Most of the times, the major part of the move is covered on the weekends to offer least inconvenience. Visits to current and new locations. We, DTC packers and movers, provide household goods relocation services with an endeavor to achieve utmost customer satisfaction. Our company, Deepak transport corporation & DTC packers and movers, are well known in providing services like handling, packing & household goods relocation services and household goods relocation. Our professional relocation services comprise of valuable information to our clients like kids schools, local culture and other allied information. Our relocation services start from initial interaction with the client and extends till the goods are professionally unpackaged and arranged in the final destination. It helps clients in relieving tensions on planning, and execution of the relocation needs. Our relocation team has set high standards in the markets for their minute level planning schedules and trouble free and on time execution of all the relocation processes. Customized Approach: We, DTC packers and movers, provide to our clients customized relocation solutions based on the overall size of the consignment and convenience of our clients. Our experts first screen the consignment, so that they can provide the best solutions in regards to the kind of packaging material to be used. Packaging of goods includes, wrapping, covering, boxing, stretching and taping up all goods and valuables are so tough job as moving them. Our expert professionals can do it all for you, they can make your relocation at your new destination much easier and safe. We, DTC packers and movers, provide superb household, corporate and commercial goods packing and moving services. Our on time and cost effective moving and packing services save your time and simplify your move We, DTC packers and movers, use utmost care and all safety procedures during packaging processes. All the processes are conducted under the guidance of packaging experts. We, DTC packers and movers, have a modern and dependable fleet of transporting carriers like Close body truck, container body trucks, LPT trucks, Canter, TATA 407, trailers. Etc. It assures us with on time delivery schedules. A protected loading and unloading of possessions is the most crucial part of the entire process of moving and packing. Loading and unloading of all your residential and commercial goods is done by our company's capable labors with highest care. We, DTC packers and movers, ensure safe transportation of your assets and belongings at every stage of relocation. Our expert and skilled staff and workers give professional quality services in rearrangement of the goods at the final destination point. We, DTC packers and movers, also provide valuable consultancy services to our clients regarding information on schools, important city points, the transport means, etc.